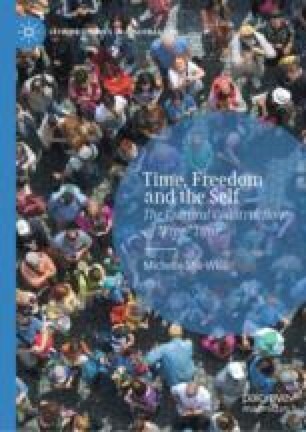 This chapter looks at free time associated with family, friends and community. The first part focuses on family time, including everyday time, weekends and special occasions and uncovers participants’ conceptions of relationships, parenting and values. As opposed to committed time, free time with the family is presented as enjoyable and highly valued yet linked to cultural expectations of the ideal mother, father or partner. The chapter also addresses gender roles and the notion of quality time. The second part relates to social interaction, friendships and social outings. It looks at sites for socializing as well as the meanings attached to social relationships and practices. Participants present social interaction as valuable, describing it as pleasure, as a form of release, and as fostering a sense of belonging. General Social Survey (GSS). 2015. Cortright, Joe. City Report: Less in Common. http://cityobservatory.org/wp-content/files/CityObservatory_Less_In_Common.pdf. Accessed Nov 2015. Hampton, Keith, Lauren Sessions Goulet, Eun Ja Her, and Lee Rainie. 2009. Social Isolation and New Technology. Pew Research Centre. http://www.pewinternet.org/2009/11/04/part-2-core-networks-the-internet-and-mobile-phone/. Accessed May 2014. Hampton, Keith, Lauren Sessions Goulet, and Kristen Purcell. 2011. Social Networking Sites and Our Lives. Pew Research Center’s Internet & American Life Project. Pew Research Centre. http://www.pewinternet.org/2011/06/16/social-networking-sites-and-our-lives/. Accessed Aug 2014.